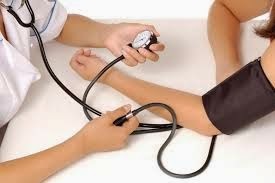 High blood pressure or hypertension is a dangerous disease. It increase the pressure of blood flow in the arteries and heart have to work more than usual. This unusual condition increase the possibility of heart attack, kidney disease and paresis. Below are the five major reason to cause hypertension or blood pressure. In today’s fast-paced life during the work every human being feels mental and physical stress. This continuous pressure can cause high blood pressure. To bring blood pressure moderate take a glass of milk. High blood pressure reduce serotonin hormone in our body. These hormone play important role to make us calm and cool. Milk has a particular type of protein called whey. According to experts this protein help to produce serotonin. Overweight or obesity is the main cause of high blood pressure. In some people increase blood pressure even they gain little weight. There is easy way to get rid of this. Don’t use processed carbohydrate food such as bread, crackers, white bread and cheese etc. instead of all these use vegetables, fruits and moderate meat diet. To process one gram of protein our body needs ten time more amount of energy to process same amount of fat. Hence eating protein food our body consumed more calories. 4. Don’t run away from exercise. In today’s busy life, many men and women do not have time to exercise. This thing harms the health. The reason is it cause not only obesity but high blood pressure as well. Therefore do not forget to exercise in your busy life. Doctors says 30 minutes of exercise five days a week, keep away high blood pressure and obesity from you. Great advantage of exercise is that it opens blood vessels. Blood pressure remains normal in in arteries and veins. Therefore regular exercise will keep you healthy. KITAAB DOST. Powered by Blogger.